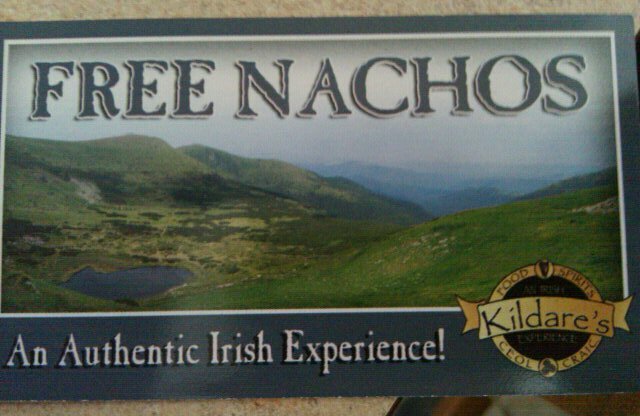 Free spuds wouldn’t be authentically Irish either. Nothing free in this country. Seriously, that really is bemusing. Worse again nachos are corn-based which is just wrong. Clearly a typo at the printshop.Those posters are paid for by the Release Noah O’Sullivan campaign. You coulda gone Noel there YankeeMick, but you went Noah. Respect. I had potato based nachos once in an Irish Bar in Las Vegas. Not what I was expecting to be honest. But it was 6am and I was pissed out of my mind, so they didn’t last very long.